Telesat has selected Blue Origin’s New Glenn rocket to launch of its LEO satellite constellation into space. Credit: Blue Origin. Telesat has signed a multi-launch agreement with Blue Origin to send its low-Earth orbit (LEO) satellite constellation into space. As part of the deal, Blue Origin will use its New Glenn rocket to deploy the satellites, which are expected to provide fibre-like broadband services across Earth once launched. The reusable New Glenn heavy-lift rocket is designed to send people and payloads to Earth orbit and beyond. Powered by seven BE-4 engines, the rocket can deploy 45t in payloads to LEO. Telesat’s upcoming LEO constellation will be based on the company’s new, patent-pending orbital design and global priority spectrum rights, as well as advanced antenna, digital processing, optical link and manufacturing technologies. The constellation will be designed to offer equal or improved capacity, speed, affordability, security and resiliency compared with the most advanced terrestrial networks. It will also provide global coverage and support the 5G expansion, as well as supply fibre-like high-speed services in rural and remote communities, among others. 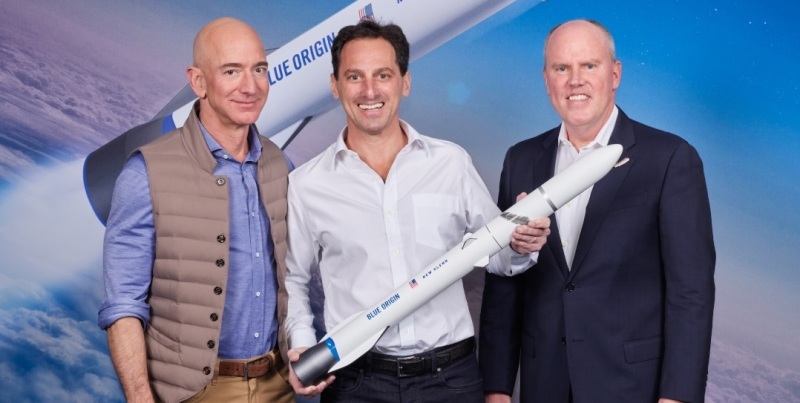 Telesat president and CEO Dan Goldberg said: “Blue Origin’s powerful New Glenn rocket is a disruptive force in the launch services market, which, in turn, will help Telesat disrupt the economics and performance of global broadband connectivity. “Telesat and Blue Origin share a vision of leveraging state-of-the-art space technologies and engineering excellence to improve the lives of people around the globe and give our respective customers a significant and sustainable advantage in their own highly competitive markets. In a separate development, Telesat and Google’s parent company Alphabet subsidiary Loon entered a partnership for the delivery of a network operating system for Telesat’s LEO satellite constellation.